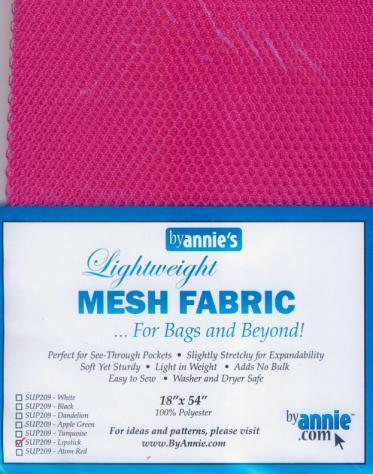 Lightweight mesh fabric--18in x 54in. from Annie Unrein. This mesh is 25 oz per sq. ft., 100% polyester and specially coated to be less slippery and easy to sew. It's terrific for pockets, on bags or anywhere you want to be able to see what you are storing. 100% polyester mesh fabric has a color fastness/staining rating of 4.5 out of 5. It is therefore very resistant and should not emit any toxic items under normal use. That said, it is recommended to use food-grade plastic containers or plastic bags for storing actual food items, as they are likely to be more hygienic over the long run. If using for food storage please know that it would be difficult to get the mesh fabric perfectly clean, as it is slightly porous. 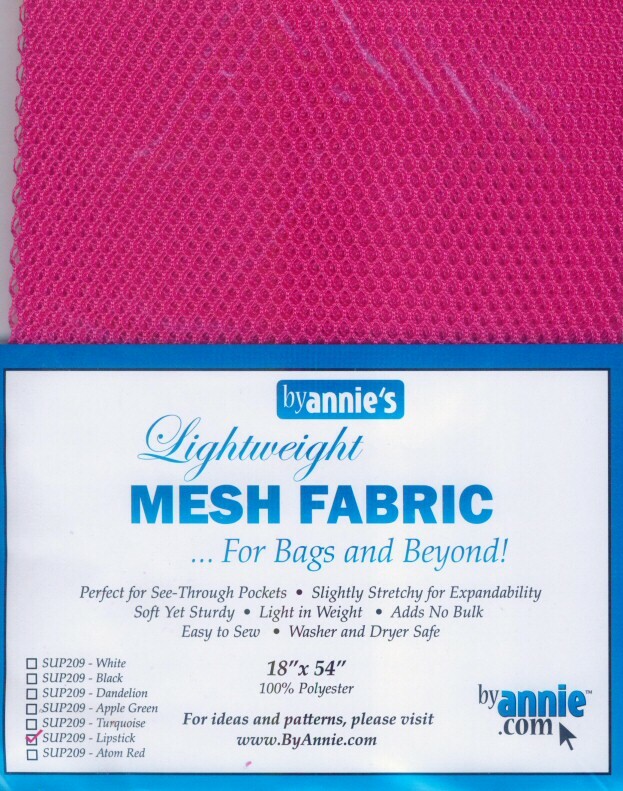 Click here for more polyester mesh ByAnnie.